A few days after receiving its first WorldTour license, IAM Cycling have announced their roster for the 2015 season. The team has signed several new riders, including David Tanner and Lawrence Warbasse whose arrival had not been announced before today. The WorldTour ceased to be a dream for IAM Cycling. 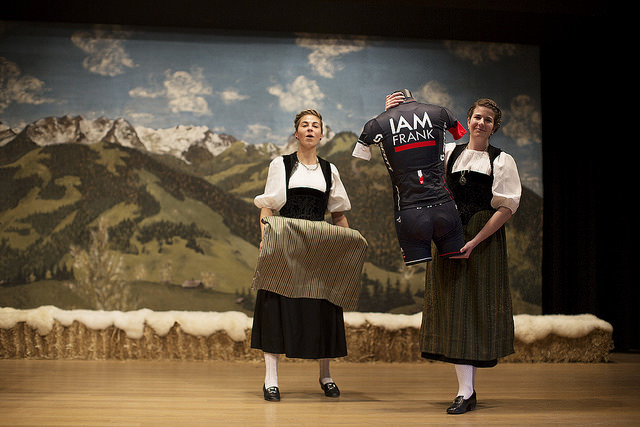 Michel Thétaz, CEO of IAM Funds and founder of the IAM Cycling team, was excited to unveil his new team this Thursday, December 11th, at the official presentation in Saanen in front of an audience of guests and journalists. "The best Christmas present arrived at my office in Geneva several days ago in the form of a letter from the Commission of Licenses and the International Cycling Union which announced that we would be awarded a WorldTour license for the next season. 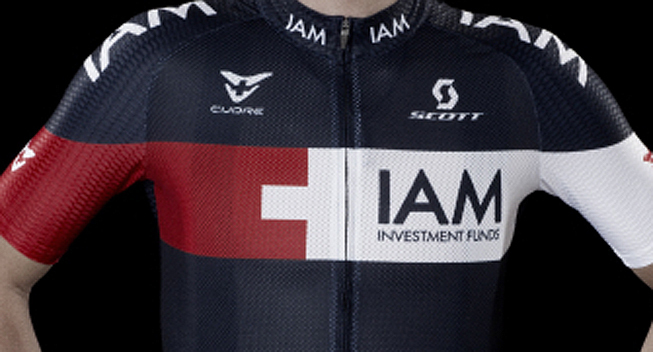 This is the culmination of all the work we have done since the birth of IAM Cycling in spring 2012. We have made every effort in order to meet this challenge and achieve this ambitious goal. And today I am the happiest man because IAM Funds will celebrate its 20th anniversary by joining the WorldTour in 2015 as a main sponsor. I could not have imagined a better gift for the company that I founded and I have headed since 1995." The World Tour license was the icing on the cake after a very successful second season for the team marked Matthias Brändle's Hour Record, as well as 38 podiums and 17 victories, including the wins Matteo Pelucchi and Sylvain Chavanel had in WorldTour events. Sports Manager, Serge Beucherie felt it was essential to highlight the enthusiasm and commitment of the founder Thétaz. "I wish to extend my sincere thanks to Michel Thétaz, founder and general manager of this great team. His enthusiasm, passion as well as his confidence since the beginning of this adventure have been essential to us every day. He is responsible for giving us the means to meet this challenge and prepare to enter the WorldTour. In just two years, we have achieved our goal and we will not stop there!" Finally, Rik Verbrugghe, the new operational team manager and coordinator of all activities for the team on the road, spoke of the recruitment efforts and explained the strategy envisioned for 2015. "IAM Cycling does not intend to over-burden the riders on the team simply because we have reached this new level. In 2014, the average number of race days for the 25 pros under contract with the team amounted to 66 days. For 2015 with the WorldTour status, this figure will increase, according to our projections, 72 days, which is a quota entirely reasonable in comparison to the other teams of this level. We definitely do not want to overwork our riders. "With 29 riders under contract including three neopros (Clément Chevrier, Sondre Holst Enger and Simon Pellaud), we will certainly managed to keep our promises and offer a race schedule that will satisfying everyone. The strategy that defined our transfer policy was to build two fairly distinct groups, namely a group around Mathias Frank, who is our leader for stage races, and another led by Sylvain Chavanel and Heinrich Haussler for the classics. In the end, we managed to create a compact, homogenous team itself. " To support the Sylvain Chavanel, Mathias Frank, Heinrich Haussler and company throughout the 2015 season, Michel Thétaz and his sports directors recruited Stef Clement, Time Trial champion for the Netherlands in 2011, Jérôme Coppel, 2nd at the Etoile de Bessèges in 2014, Thomas Degand, winner of a stage and 2nd at the Tour du Gévaudan in 2014, Dries Devenyns, 14th at the Tour of Flanders in 2014, Jarlinson Pantano Gomes, 3rd in a stage at the Tour of Italy, David Tanner, stage winner at the Tour of Utah in 2010, Larry Warbasse, winner of a stage at the Tour of Qatar in 2013, as well as Jonas Van Genechten, a sprinter who is set to increase the number of victories that the team will grab in the coming seasons. Always willing to nurture young talents, as it has done since its inception with riders like Aregger, Fumeaux, Lang, as well as Reichenbach and Schelling, all of whom flourish on the team in a great variety of races, IAM Cycling has also included three neopros in the mix. In addition to the great Norwegian hope Sondre Enger, who was recently 5th at the U23 World Championships in Ponferrada, and who has already been racing for the team since August 1, 2014, IAM Cycling also enlisted the Frenchman Clément Chevrier, best young rider at the Pro Cycling Challenge in Colorado in 2014, and the rider from Valais in Switzerland, Simon Pellaud, who was the U23 Swiss National Champion in 2013.